Geekvape Creed RTAwill in stock soon. And it comes with three airflow caps, one with hollow strips, one with round airflow holes and another is air tight. 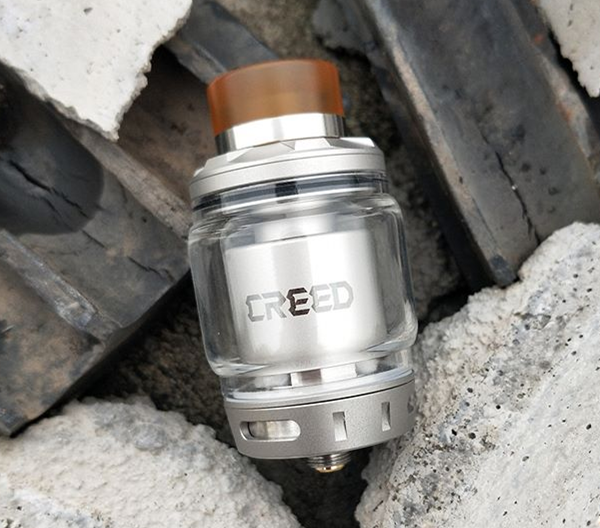 Together with three drip tips(510 drip tip(adapter included), 810 drip tip and a slim plastic drip tip), Creed RTA comes with 6.5ml bubble glass tube, 4.5ml spare glass tube is also included. Now comes a exciting news, fans of efuns and fans of RTA will have a chance to get one for free, just enter the link above and anticipate it.